The past year was a volatile one for our planet. 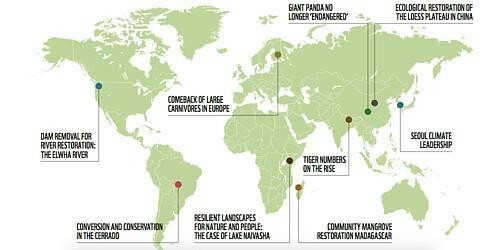 On the one hand we saw some historic highs in 2016: the Paris Agreement came into force before its first anniversary; four years earlier than expected, wild tiger populations increased for the first time in a century; and the icon of the conservation movement (and WWF), the panda, moved one step further away from extinction. But on the other hand, 2016 was the hottest year on record and the Arctic warmed much faster than predicted. 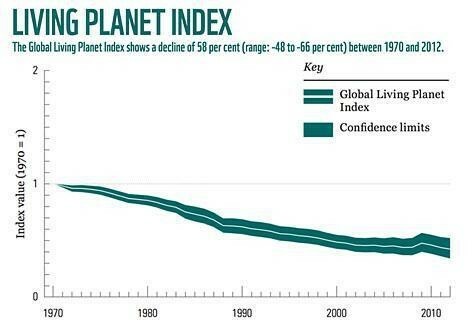 The latest edition of WWF’s Living Planet Report showed us that in just over 40 years, the world has witnessed a nearly 60% decline in wildlife across land, sea and freshwater and is heading towards a shocking decline of two-thirds by 2020. This has happened in less than a generation. Indeed if the biodiversity index is considered akin to the stock market index for tracking a company’s health and prospects, our planet may well be heading for a crash unless we act now. A crash of natural systems is not something any central bank can easily fix. The undeniable truth is that we continue to do great damage to the planet and we haven’t learnt how to grow our economy without harming nature. In the past 50 years, truly a blink of an eye compared to the more than 2 million years of our species’ history, we have seen an exponential acceleration of the unsustainable and wasteful use of natural resources. If we continue to produce, consume and power our lives the way we do right now, forests, oceans and weather systems could be overwhelmed and irreversibly damaged. Biodiversity – the complex web of life made by millions of species, plants, bacteria and fungi – underpins many of Earth’s systems that we take for granted, systems that provide us with the air we breathe and the food and water we consume. It maintains the ecosystems that society and its various enterprises need to thrive, ensuring access to essential raw materials, commodities and services. Yet, for the first time in Earth’s history, people and businesses are overpowering the planet using resources faster than they can be regenerated. Unsustainable agriculture, fisheries, mining and energy are leading to unprecedented habitat loss and degradation, overexploitation, pollution and climate change. While their impacts are increasingly evident in the natural world, the consequences on people and businesses are real too. From food and water scarcity to growing evidence of climate-related risks faced by individuals, businesses and countries, the evidence has never been clearer. The Earth at breaking point? A planet being pushed to the edge will eventually turn on us. We are already seeing an increase in the frequency and intensity of extreme weather events disrupting lives and livelihoods across the region. Unprecedented droughts in southern Africa have forced companies to shut down production and cities to impose daily blackouts as hydroelectricity supplies fail. Factories in Beijing are repeatedly being ordered to slow down production to mitigate the thick poisonous smog blanketing the city. 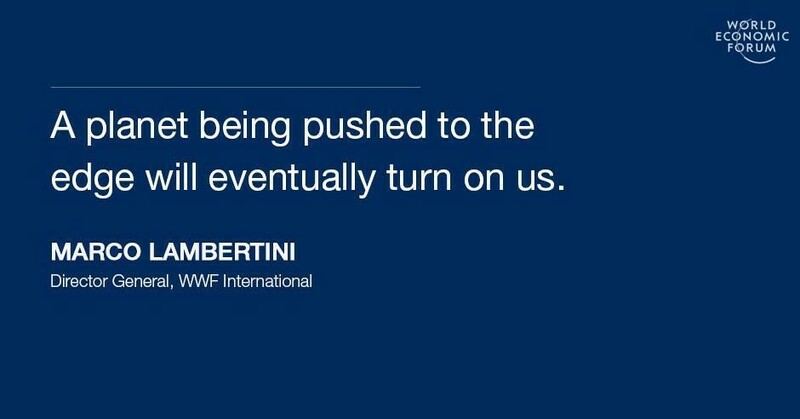 Climate instability, extreme weather events and water scarcity feature at the top of the World Economic Forum’s list of risks for businesses and, as the planet finds itself at a crossroads, the challenge for governments and businesses is to balance ecologically sustainable development with economic growth. The equation is a simple one: we will not build a stable, prosperous and equitable future for humanity on a degraded planet. Particularly when the Earth’s population is expected to reach 10 billion in three decades' time. Protecting the environment alongside economic and social development is critical for our well-being and it also makes business sense. Producing better and consuming more wisely is key to establishing resilient markets that stay within our planet’s safe operating space, safeguard our natural wealth and contribute to overall economic and social well-being. Increasingly companies are expected to address, not to worsen, environmental degradation – it is becoming part of their social licence to operate. For companies the risks and the opportunities are significant. Businesses can lead the way with a long-term responsible approach that values natural capital and helps avoid the cost implications of resource scarcity and environmental damage. A good example would be the palm oil industry. Every year, illegal forest clearing practices cause devastating fires and haze that make headlines around the world and have an impact on forest ecosystems, as well as the lives and welfare of millions across South-East Asia. By coming together to transform the way palm oil plantations are created and maintained in the region, which accounts for 85% of global production, businesses can chart a new sustainable way forward for companies, brands and consumers everywhere. Right now the state of the planet is getting worse and the pressures on natural systems are deepening but, for the first time perhaps, we are also seeing an increase in response. Whether it’s halting deforestation, shifting to renewable energy or fishing sustainably, there are many positive signs too. We have undoubtedly begun a great transition towards sustainable living. Now, we need to focus on the scale and speed of this transition if we are going to decouple economic development from environmental degradation. The momentum is building and businesses must be at the forefront of change. More than ever the planet needs responsive and responsible leadership with a deep commitment to inclusive development and equitable growth, both nationally and globally. There is no time to waste.